Where Would You Be If You Came Into Money? 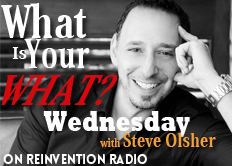 The premise of Steve’s New York Times bestselling book,What Is Your WHAT? Discover The One Amazing Thing You Were Born To Do, is directly related to the question of the day as it is all about finding where you truly are at your best.